Greetings from the great state of Indiana. Or, as I like to call it, corntopia. 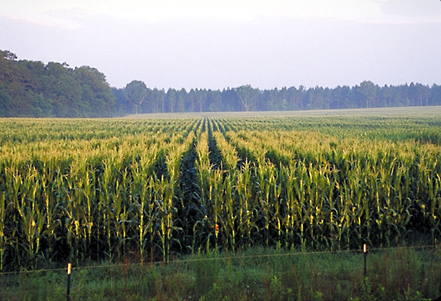 Perhaps land of endless corn or the great corn state would be a more appropriate motto for the place. Seriously, its flat. After a reluctant journey with my older brother across half the country to get his things from his former place of residence (he has since moved back with us in Pennsylvania), I have to say I’m actually just enjoying the trip. Better still, I’ve got a nice quiet place to work all day. I can see why Kirsty likes having a work environment conducive to getting stuff done. Whilst my brother runs around the campus here doing exit interviews and packing, I get to sit down, enjoy the AC and free internet of his room, and go to work. If I can keep my income level at an acceptable threshold, I could get used to this whole nomadic lifestyle thing. Of course there’s still some debt for me to clear out, and that’ll be first priority once my income ducks are in a row. This may mean a part time job to bring in a more steady source, or I’ll continue to do what I’m doing now and just keep on building from the ground up. Speaking of debt relief, I did recently come across another debt consolidation site that may be worth looking at. They have a pretty vibrant community of members, about 121,000. Its always nice to know there are others out there that are in a similar predicament, whether you’re just shoveling out the last bits of debt like me, or if you’re up to your ears. So feel free to give Debtconsolidationcare a look, but as always do your own homework before proceeding! Posted in: credit, Finance Links, lifestyle.